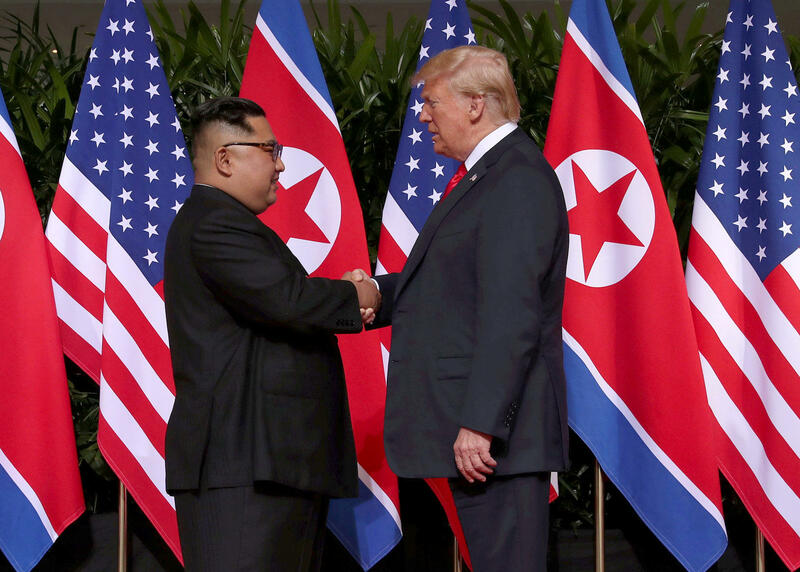 President Trump is continuing to hail his historic summit with North Korean leader Kim Jong Un as a win for the United States, but says media coverage of the meeting is "almost treasonous." In an excerpt of an interview with conservative pundit Mike Huckabee that airs on Saturday, Mr. Trump says that the two leaders came to a "wonderful agreement" in Singapore, but that it's a "shame that the fake news covers it the way they do." Mr. Trump said during talks with Kim, the U.S. "got our hostages back, we get the remains back of our great heroes that have died. The big thing is the denuclearization." Asked if he could trust Kim's word, Mr. Trump said "yes," adding that the two leaders now have a "very good relationship" and "very good chemistry together." "He's looking to do something for his country, maybe for his family, for himself, but he's looking to do the right thing," Mr. Trump said. Mr. Trump and Kim left the summit signing a document that the president described as "important" and "comprehensive." The document says North Korea will commit to working towards denuclearization but offers few details about how that will be accomplished.